Nuwan has been a trainer and researcher in the field of personal development and motivation for many years. His career spans from a young junior sales personnel to a high performing marketing strategist and a manger within a brief timeframe. 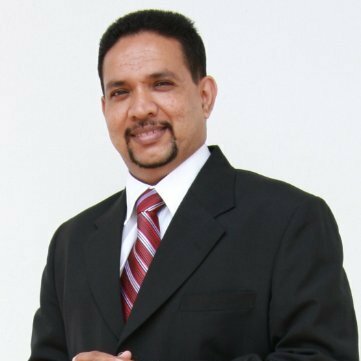 Further to his experience in the field of Sales and Marketing for over 17 years, he acquired a wealth of experiential and academic knowledge while living in Australia for over 10 years specializing in various areas of Sales and Marketing, working for International and multinational organizations. Nuwan is a graduate of Deakin University of Melbourne-Australia where he specialized in Marketing and Business management. He is also a USA qualified Master Practitioner & Coach of NLP (Neuro-Linguistic Programming) and a Master Practitioner in Timeline Therapy and Hypnotherapy. Nuwan has a decorated history of achievements on presentation and public speaking in Sri Lanka and Australia. He specializes in adult training and is a popular trainer for his humor, energy and the ability to link with the trainees. Nuwan uses NLP techniques and make it a habit to keep up with the latest trends in adult training and motivation techniques. Nuwan is a strong advocate of action oriented and target focused positive thinking and planning strategies. He specially focuses on performance enhancement of grass-root level staff to middle and top level managers with an orientation towards sales, marketing and customer service fields.